More than just an ordinary country club. The Telluride Ski & Golf Club is actually three clubs in one: the world-class Telluride Ski Resort, spectacular Telluride Golf Club and The Spa at the Peaks Resort. The Telluride Ski & Golf Club offers a full line-up of social events and provides an exceptional opportunity to experience this pristine mountain resort in an unrestricted manner. If you want exclusive access to all that Telluride has to offer, let us turn every desire into a dream come true. Whether you spend a few weeks here or you’re a local — experience Telluride in ways you’ve never imagined. 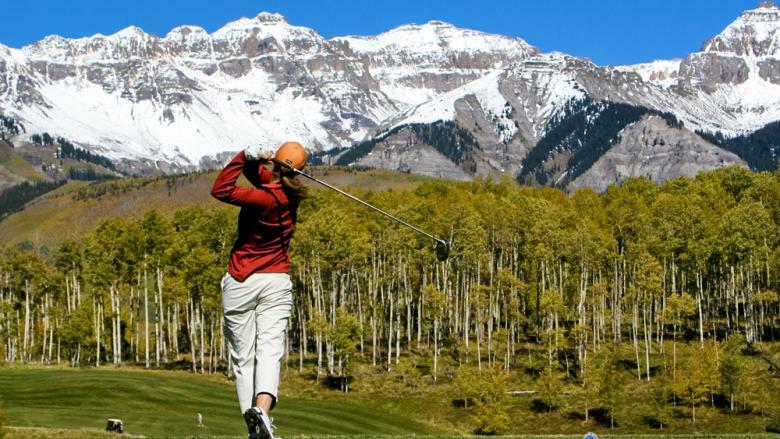 The Telluride Ski & Golf Club offers two distinctly different levels of membership. Platinum Level Membership: Includes the full gamut of club opportunities and benefits. Highlights of a Platinum Membership include Transferable Ski Passes, Private Allred’s Lunch, full access to the Telluride Golf Club and unlimited use of the Spa at The Peaks Resort. Silver Level Membership: Includes many of the same benefits as our Platinum Level at a lower commitment. Highlights of a Silver Membership include Assignable Ski Passes, Allred’s Private Lunch, deeply discounted greens fees at Telluride Golf Club and access to the Spa at The Peaks Resort. Below is a summary of membership benefits, which may be changed from time-to-time. For full membership benefits and most recent details, visit the Telluride Ski and Golf website.